The second part of our best regional hospitals and medical centers focuses on Southern California; again, all of the hospitals have been listed alphabetically. Our list aims to highlight hospitals and medical centers that excel in medical specialties and are developing innovation in medical practices. If you see your organization on here, and notice an error or inaccurate reporting, please feel free to let us know in the comments. 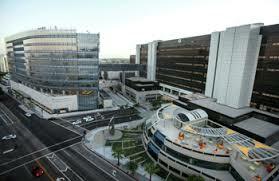 Cedars-Sinai, as one of the largest medical facilities in the U.S., provides an array of medical specialties to the Los Angeles metro area. Cedars-Sinai has won the National Research Corporation’s Consumer Choice Award for providing the highest quality healthcare 18 consecutive years. 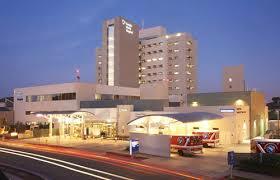 Of 5,000 hospitals surveyed by U.S. News, Cedars-Sinai was one of only 18 to earn an Honor Roll designation. 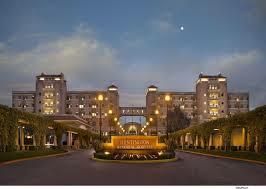 Nationally ranked specialties include: Cardiology & Heart Surgery, Gastroenterology & GI Surgery, Orthopedics, and more. The National Cancer Institution has appointed City of Hope one of its 41 comprehensive cancer centers nationwide, for its accomplishments in cancer treatment, research, education, and prevention. City of Hope’s cancer specialty was ranked #12 nationally by U.S. News, and earned them $79.7 million in research grants in 2012, as well as $224.6 million in revenues from its patented technologies. Research and medical development at City of Hope has led to a number of medical breakthroughs and cure options, including: Herceptin, synthetic human insulin, Rituxan, and more. With 9 High performing specialties, according U.S. News and its relationship with the Newport community has given Hoag a number of awards and grants. Last month, philanthropists James and Catherine Emmi donated $1 million to the philanthropic arm of the hospital. As well, Hoag won Best Hospital in Orange County by Orange County Register readers, and was endorsed by National Research Corporation as Orange County’s most preferred hospital 17 years in a row. Among a list of specialties and awards, Huntington Memorial Hospital has focused on patient safety and earned an award from the Institution of Safe Medication Practices (ISMP) for demonstrating a “superlative standard of excellence” in the prevention of medication errors. In 2008, Huntington Memorial expanded on its emergency department, increasing its annual emergency patient capacity from 30,000 to 90,000. Huntington Medical was formed 120 years ago by its community, which has helped it to survive, and thrive. Already listed as the third best ranking hospital in the Los Angeles metro area by U.S. News, Keck Hospital of USC is working to further its effectiveness as a medical school by embarking on a three year plan to achieve recognition as an elite medical education facility. 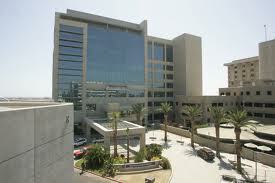 Keck Hospital has earned 4 nationally ranking specialties, which includes Ophthalmology as a top ten contender. Keck Hospital’s medical achievements paired with its desire to continually improve itself will help it remain a nationally ranked hospital. 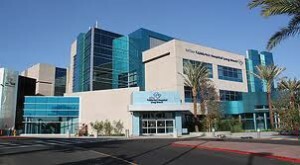 Long Beach Memorial Medical Center has achieved the benefits of investing in a state of the art medical record system which allows it to more thoroughly care for patients. Long Beach Memorial was nationally ranked for its specialty in Diabetes & Endocrinology, among it’s ten other high ranking specialties by U.S. News. Among its other achievements, Long Beach Memorial was ranked as a top 125 U.S. Hospital by Consumers’ CHECKBOOK, as well as being named a top 100 Cardiovascular Hospital by Thomson Reuters. As part of the Scripps Health Organization, Scripps La Jolla shares in the honor of being named as one of the 15 Top Health Systems in the nation by Truven Health Analytics (which is Scripps’ third appearance). Among its many medical achievements, a Scripps doctor recently inserted the first heart monitor inside of a patient with an irregular heart beat decreasing hospital visits and innovating cardiac healthcare. 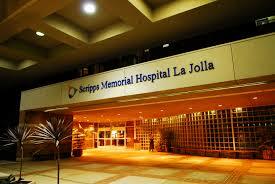 With 8 nationally ranked specialties, Scripps La Jolla Hospitals and Clinics was ranked #2 in the San Diego area by U.S. News. Between two facilities, Scripps Mercy Hospital is the largest hospital in the San Diego region, and has been expanding there since 1890. With eleven ranked specialties, and one nationally ranked specialty by U.S. News, Scripps Mercy is a well versed to better treat its patients. In February, Scripps Mercy received a Stroke Silver Plus Quality Achievement award from the American Heart Association and American Stroke Association’s Get With The Guidelines® for its performance in reaching evidence based guidelines. 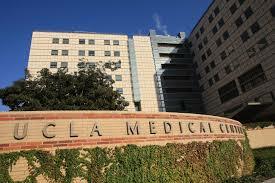 U.S. News ranked UCLA Medical Center as its top hospital in California (#1 in the Western U.S., and #5 nationally), with its 15 nationally ranked specialties). The 10 story hospital designates each floor to a specific specialty, which includes: Geriatrics, Ophthalmology, Urology, Cancer, and many more. Among its many achievements, UCLA’s heart transplant program was named the best in the U.S., according to HRSA, and most recently received a 2014 Partner for Change award from Practice Greenhealth. UC San Diego’s combination of quality healthcare and healthcare education has allowed it to become a winner of the Distinguished Hospital Award for Clinical Excellence from Healthgrades, which is awarded to only 5 percent of U.S. hospitals. Partnered with its affiliations (Rady Children’s Hospital-San Diego, Veterans Affairs Healthcare System) UC San Diego is expanding its community outreach programs in the greater San Diego metro area, where it is ranked as the #1 hospital by U.S. News. 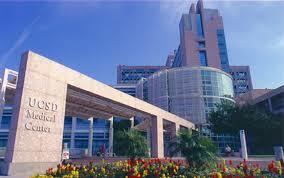 San Diego Magazine named 122 UC San Diego Health System physicians as “Top Docs” in the San Diego area.